Removing trees can be dangerous if you don't know what you're doing. Leave the job to the experts at McKenley Tree Care. Pruning your trees is essential to maintaining a healthy tree line. McKenley Tree Care will come to your home or office to prune yours! Worried about the health of your trees? Bring in an arborist to check them out. McKenley Tree Care will do what it takes to take care of your greenery! McKenley Tree Care can remove unsightly stumps from your property with ease. We offer quality stump grinding service that will clear your land. Need a Tree Removed? We Can Do It Safely! You may have invested a lot in your home or commercial building’s landscape, but that investment means nothing if you don’t keep up with your trees. McKenley Tree Care can help you maintain a healthy tree line all year long with our quality tree care services. Our family-owned and operated company provides tree trimming, removal and stump grinding services. We have the equipment and capability needed to diagnose unhealthy or damaged trees and will treat them accordingly. Your property’s trees will be lush and thriving when they’re in our hands! Schedule an appointment with McKenley Tree Care by calling 704-652-8152. See what we can do to improve your landscape by reaching out to the team at McKenley Tree Care. We provide our tree services to all of North Carolina! Learn more about our service areas by contacting McKenley Tree Care today. 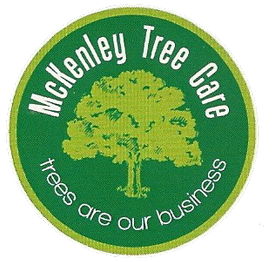 Trust McKenley Tree Care to plant your trees!